Specially designed for Honeymoon couple who can spend their valuable memorable time in the laps of beauty and nature. 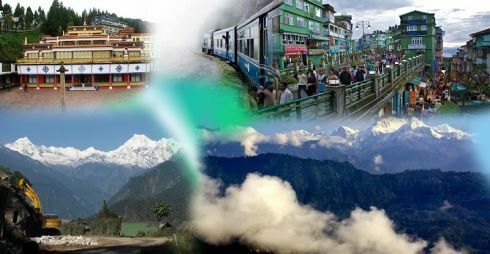 These are the pearls of Himalayan Kingdom with most beautiful culture and heritage visit the colonial town of Darjeeling, the peaceful Sikkim, the Gompas and any more these places will leave you mesmerized forever. So come fall in love with us we show you the way it is. After breakfast, proceed to Tsomgo Lake (12,313 ft), a 40kms drive which takes 2.5 hrs. This lake is located very close to Nathula Pass which is the entry point to China termed as the “Silk Route & remains frozen for most parts of the year. Legend has it that the Lamas use to forecast the future by studying the colour of the lakes waters. Enjoy the surroundings, majestic snowy peaks which feed the lake and the clean fresh air, back to Gangtok by 3 pm for a late lunch. Evening free for leisure or go shopping for Sikkimese traditional handicrafts & overnight stay at Gangtok. (0900hrs-1400hrs) After breakfast, visit to Cottage Industries, Started during the time of the Chogyals of Sikkim, as a venture to preserve, protect and propagate the authentic Sikkimese arts, handicrafts and skills of local and village artisans, it has become one of the major attractions for people visiting Sikkim where beautiful souvenirs like carpets, hand carved tables (choktses), traditional handcrafts, furniture, handlooms carpets and other products are produced & exhibited for sale. Flower Show, at one end and below the Ridge Park is the Flower Exhibition Centre which holds the annual Orchid show. Inside the area is not very large but it has amazing collections of flowers of many different types, if you are a flower lover, then this is the place for you. But the best time is between March to June when the Orchids are in full bloom and put on display, Do-Drul Chorten (Stupa) which is one of the most important stupas of Sikkim, built by the head of the Nyingma order- Trullshi Rimpoche in 1945. It contains rare details of Dorji Phupa, Holy Books, Mantras and is encircled by 108 prayer wheels; The Namgyal Institute of Tibetology built in 1958 in traditional style, a renowned worldwide centre for the study of the Mahayana Buddhist philosophy & religion, a treasure house of rare “Thankas”, statues, over 200 Buddhist icons and prized objects of art & finally Ban Jhakhri Waterfalls. Return back to the hotel for lunch. After lunch, proceed to Pelling (6800 Ft), a 5 hour journey (112 kms) via Ravangla (6800 Ft), a small township & transit point to various destinations in South & West Sikkim, situated at the base of Meenam Hill (10300 Ft). Arrive at Pelling by late evening & check-in at Hotel. This is one of the closest points to the Kanchenjunga range & one can see it upfront touching the sky from Pelling & overnight stay at Pelling. Leave early for the Khecheopalri Lake, also called the “Wish Fulfilling Lake”. It lies in a depression surrounded by prayer flags & forested hills & then go to the Rimbi Falls, Rock Garden & Khangchendzonga waterfalls. After lunch, proceed to Darjeeling (7100 ft), a 72kms drive taking around 3-4hours to reach, the “Queen of the hill stations”, its name derived from “Dorje-Line” which means the place of “Dorje”, the mystic thunderbolt. After a very scenic drive thru the mountains, tea gardens etc. Reach Darjeeling by evening & check-in at the hotel. Start the day at 4am with an early morning trip to Tiger Hill (7800 Ft) to catch the sunrise from behind the majestic Kunchenjunga range. On the way return back visit the Ghoom Monastery & Batasia Loop, back to the hotel for breakfast. (09:00 AM TO 05:00PM) After breakfast, proceed for a half day Darjeeling local sightseeing of the Himalayan Mountaineering Institute, Ropeway, Zoo, Tenzing Rock, Tibetan Refugees Self Help Centre, Tea Garden (outer view) & Japanese Temple. Back to the hotel by evening; take a walk to “Chowrasta” the centre point of the Mall area. You can do some window shopping & overnight stay at Darjeeling. CP: Room with breakfast only. · All rates above are valid from 14th TO 31ST MARCH 2017. · All rates above are on per person twin sharing basis. · Meals as per plan shown above in RED, all hotel taxes. · All transfers & sightseeing by 01 AC INNOVA/XYLO/SCORPIO Ex Bagdogra/NJP which is not on disposal, but point-to-point basis. · Children 12 years & above are charged as adults. · Below 05 years, complimentary. · This package is valid for Indian passport holders only. · Visit to Nathula Pass (India -China border) @ Rs. 5000/- per vehicle extra on the total cost. · Joy ride on the toy train in Darjeeling @ Rs. 550/- per person ticket + Rs. 600 per vehicle extra on the total cost. 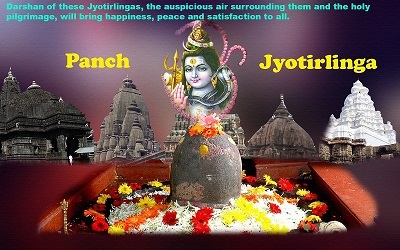 · En-route visit to Chardham (Namchi) @ Rs. 2000/- per vehicle extra on the total cost. · Any difference arising due to increase in fuel price or change in taxes levied by the government. · Difference in cost arising due to mishaps, bandhs/strikes, natural calamities like landslides, road blockages etc. In such a case, the extra cost would have to be paid on the spot by the guest directly. All travelers’ visiting Sikkim are strongly recommended to provide for their own trip insurance at home that adequately covers for medical, emergency rescue expenses, trip cancellations, baggage loss or any other eventual mishaps. All of our staffs on field trips are adequately insured by the company that covers for medical assistance, accidents or deaths. Warm clothing is required throughout but more specifically from October to April. In general dressing in layers is recommended. Few change of clothes such as shirt, sweater, jacket & cotton inner linings with tops & bottoms, comfortable walking shoes, pair of pants should suffix. During the month of October to April more heavy woollens or down clothing & boots will be required. Other recommended accessories: water bottle, water purification tabs, chap stick, suntan lotion, utility knife, flash light, battery operated shavers, dusk mask or bandana, medicine for common colds, headache, fever, stomach disorders & diamox for altitude sickness. A good guidebook & a route map are strongly recommended.